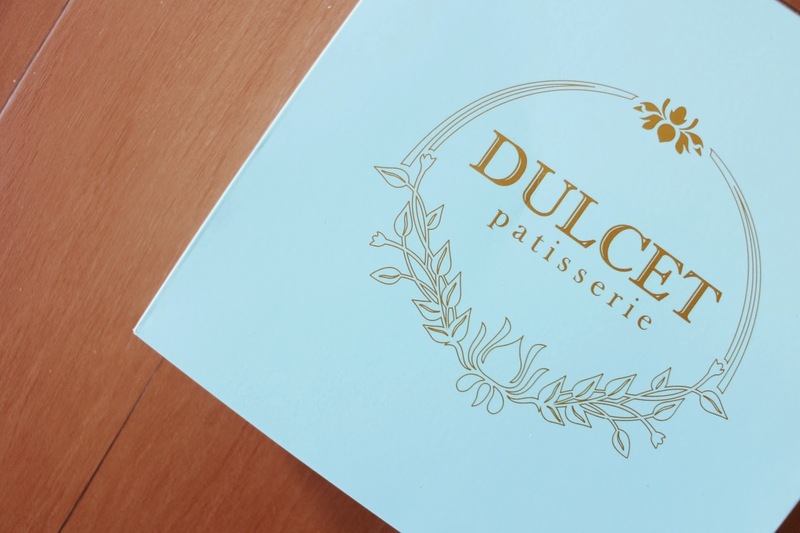 Yesterday, we just got a sweet treats from Dulcet Patisserie, a haven for self-indulgence in the most exquisite cakes and patisseries. 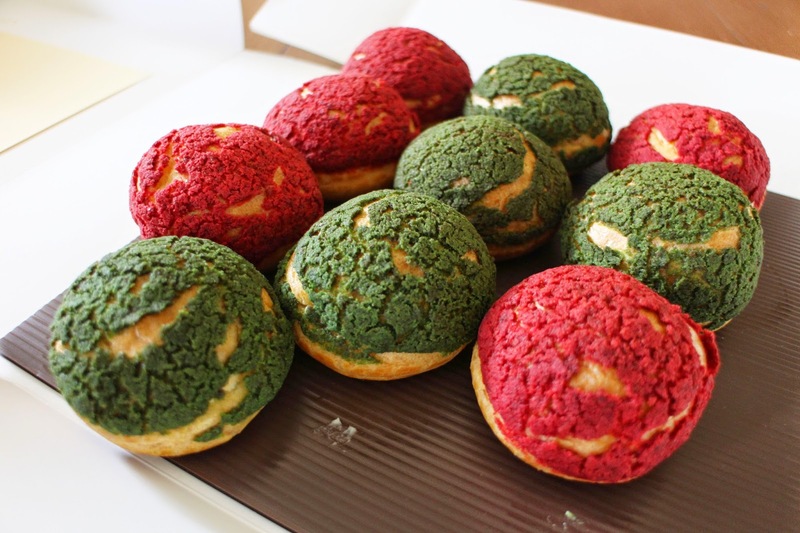 They offer low-fat and less sugar home-made pastries. It was their 3rd time sending us their lovely cakes. 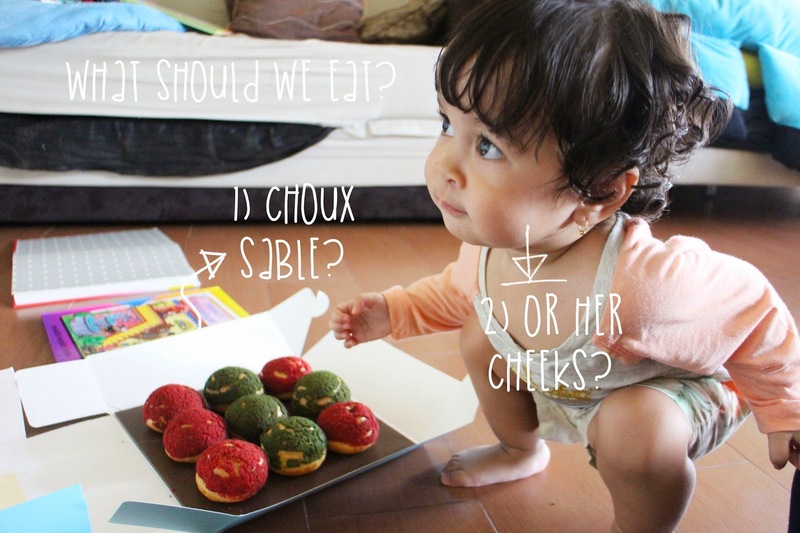 We've already tasted their Cupcakes and Kiwi Shortcake before, and now it's time for us to taste their signature Choux Sable! The box color..... suits me the best! Green Tea and Vanilla flavor! Heavenly dessert. 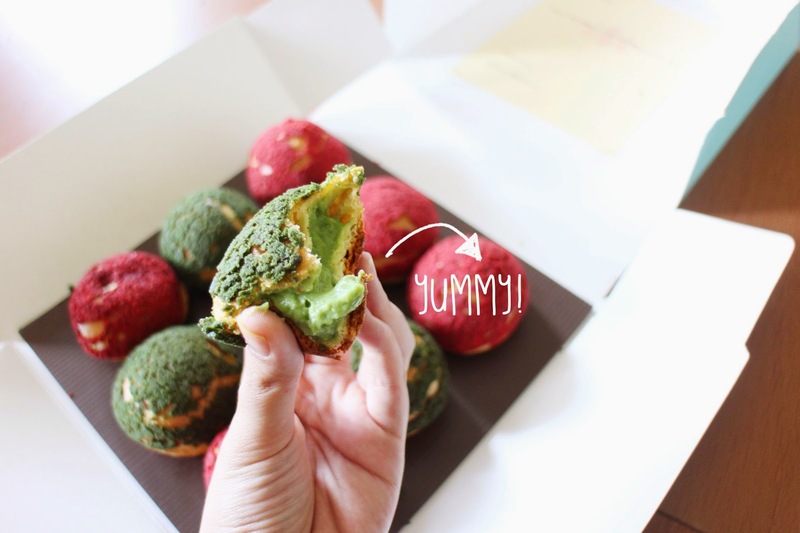 With a crunchy crust over the soft choux pastry and the yummy green-tea cream inside.